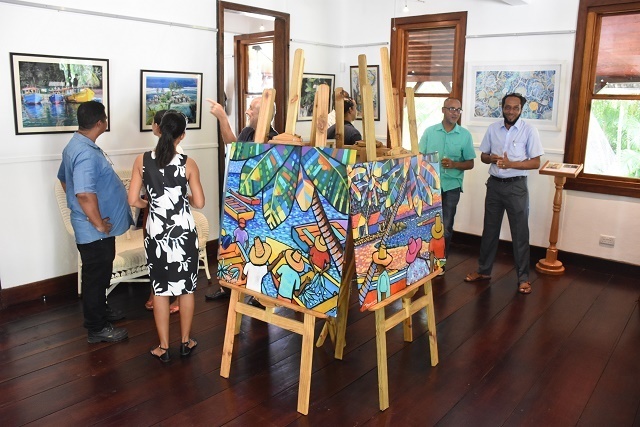 (Seychelles News Agency) - Art lovers passing through the small capital city of Victoria have a new gallery to visit as Kenwyn House reopened its doors after months of renovations. A national monument built in 1855, Kenwyn House is an example of the French colonial style of the time that Seychelles is known for. Four months of renovation work took four months and was funded by Gran Kaz, an entertainment centre. Gran Kaz is leasing the building from Cable and Wireless -- the proprietor -- for an undisclosed amount of time. The previous tenant of Kenwyn House which is located on Francis Rachel Street opposite the National Library, was JOUEL, a Tanzanite jewellery shop. “This is a good opportunity for local artists. I am happy that Gran Kaz has taken the initiative to turn Kenwyn House into a gallery as a lot of artists are looking for a place to exhibit their arts,” said Chang Him. Other than the gallery, another distinguish attraction located on the first floor of the house, is the ‘Coco de Mer wall’. A whole wall within the building is dedicated to the world’s biggest nut, the coco de mer. The wall where 70 endemic nuts hang was out together with the assistance of the Seychelles Island Foundation (SIF). “The Coco de Mer wall is the first in Seychelles and undoubtedly the first in the world. 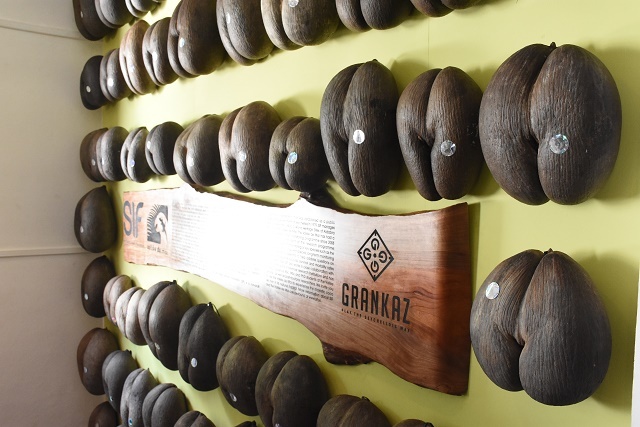 The wish is that the Coco de Mer wall will become a landmark in its own rights and shall be a perfect place to take a Seychelles selfie,” said Shama Amesbury, the public relations and communications manager of Gran Kaz. In the late 1850s, Kenwyn House was home to the colony's chief examiner at the time, James Henry Brooks. “I am relieved to see that this beautiful house has been restored and is going to be used as an art gallery to promote art and culture in this wonderful setting in the middle of Victoria with a relaxing area. I wish to see the garden around the area used to host light music,” said Andre. Another artist showcasing his art in the gallery, Georges Camille, said that he has always loved Kenwyn House and other Creole Houses. “Kenwyn House is a landmark in Victoria and it is a great location to showcase art. Tourists will also get a glimpse of what it was like in terms the kind of architecture that populated Victoria back in the days,” said Camille. Kenwyn House will host a third attraction under one roof once Cable and Wireless donates a telecommunication museum. The gallery is open to the public from Monday to Friday from 9 a.m. to 5 p.m. and on Saturday from 10 a.m. to 2 p.m.